Stickman Ghost 2 is an addicting Role-playing Game. Play Stickman in galaxy wars, one of the biggest, most fun, challenging and addicting stick figure games, wars games. You are star wars games fan or love playing action rpg offline games? Stickman game will bring to you an offline hack n slash RPG shooting game on mobile, you can play this game anywhere anytime. 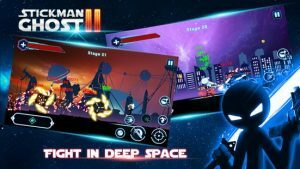 Stickman Ghost 2: Galaxy Wars rpg offline game is the most unique space battle game, league of stickmen free where you will become a stickman shadow hero with gun and sword to rescue the planets and become a stick ninja in the galaxy. The planets have been invaded in a battle by the evil stickman and robot army. Fight the stick enemies on the plates, use stickman weapons to become stick master of unique space mission galaxy battle. You have to fight ninja, sniper or terrible robot. Each different planet, you need to have the powerful weapon to hack and slash or shoot the enemies. This is the best Stickman Game than ever, you will have the opportunity to enjoy the weapons of star war. If you are a warrior or ninja slash, stickman will equip sword, double blade, shuriken ninja stick or staff. You can also equip guns for stick. Sniper rifle, shotgun or pistol make you be absorbed in shooting game. It is the Stickman Fighting game that you should try, everything is interesting! You will fight so many powerful enemies in deep space, they are ninja stick, witch, robot or stickman warriors in stickman game. So how do stickman revenge in star wars game? Skins, weapons and guns will make stickman ninja warrior stronger. Upgrade and evolve your weapons and guns to use powerful skills in battle. Buy and upgrade your skins to protect you in battles with alien robots. Pets and spaceship are very important, they will assist stickman fight and power up stickman warrior. Gameplay is varied and attractive, a perfect combination of hack and slash stick game and stickman shooting games. Easily control, attack and use skills in battle. The pet system is diverse with soul stick, helicopters stick and robot stick. The weapon system allows you to choose between stickman fighting and stickman gun shooting. Star wars graphic style make you deep in space battles. Realistic wobble, ragdoll physics with the action is extremely fun. Download Stickman Ghost 2: Galaxy Wars game for free and be the best stickman warrior in League of Stickman. Keep in touch with us if you like rpg Stickman Ghost 2: Galaxy Wars and do not forget comments to us about this Stickman Fighting game. We would love to hear from you! [GET_ACCOUNTS] This right is need for the linkage and notification between your game account and google account information. 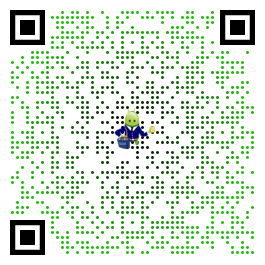 [READ_CONTACTS, READ_PHONE_STATE] Permission to sync your Address Book and access device status for Friend Invites. Great Job! This is simple. Yet great.